NOTICE: At Depke we strive to manage costs wherever possible and to minimize any price increase to our customers. As a result of the recently imposed tariffs, we will find it necessary to raise prices on imported steel, including stainless steel and aluminum products. 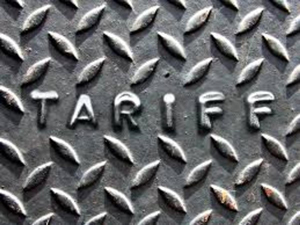 Because the tariffs have an immediate and significant impact on the cost of imported filler metals, pricing will subject to those in effect at time of shipment. We will be providing price updates when we know what effects the tariffs have on the cost of the final product. In the meantime please contact us with any questions. We wish to take this opportunity to thank you for your business and we look forward to the privilege to be of service in the future.